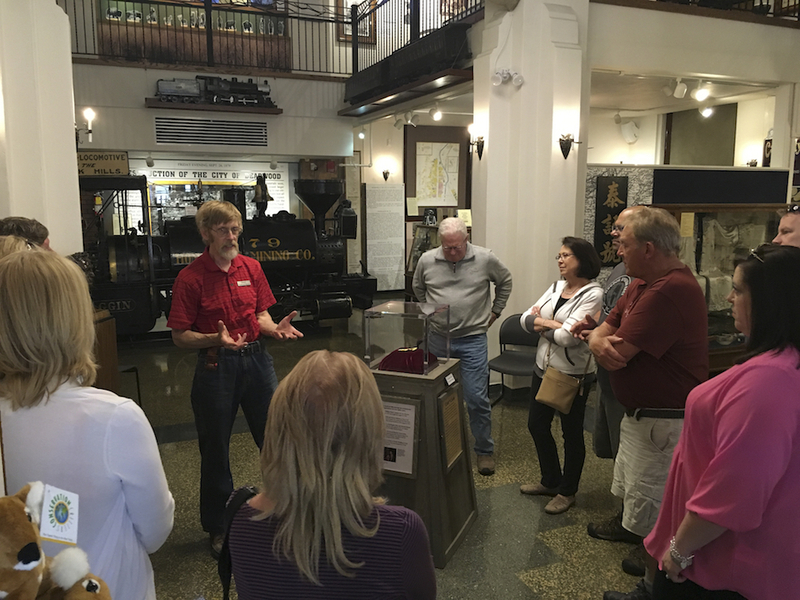 Director Darrel Nelson guides group, Adams Museum, Deadwood, S.D. 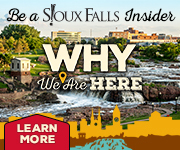 Groups visiting western South Dakota can experience the fascinating tales of the Wild West. Deadwood History brings legendary stories to life at four unique properties: Adams Museum, Days of ’76 Museum, Historic Adams House, and Homestake Adams Research and Cultural Center. Adams Museum, the oldest museum in the Black Hills, highlights legends Calamity Jane, Wild Bill Hickok, Seth Bullock and a rare plesiosaur fossil. A 20-minute guided tour helps groups understand why Deadwood became an iconic Western town. Days of ’76 Museum is Deadwood’s newest museum, documenting the first Days of ’76 Celebration in 1924, the rodeo, carriages, historic firearms and American Indian artifacts. The museum also illustrates Deadwood’s enduring friendship with Buffalo Bill Cody. The Days of ’76 Museum and Adams Museum offer interactive, hands-on games for all ages. 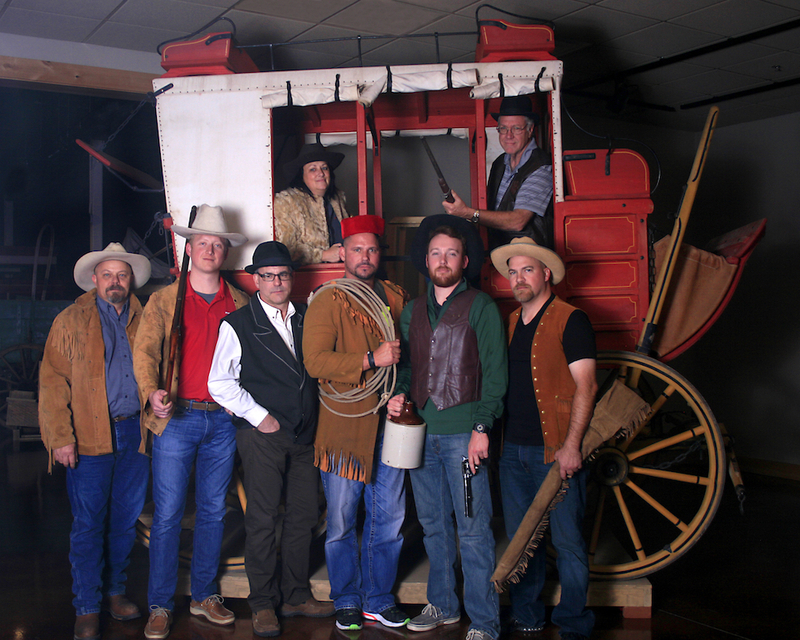 Take a photo in a Deadwood stagecoach or with a period hat at the rodeo. Historic Adams House showcases the Queen Anne-style home of two of Deadwood’s founding families, including Adams Museum’s founder, W.E. Adams. Take a docent-led tour through this historic home, built with running water, radiant heat, electricity and telephone service. A tour and tea experience is available for groups. A minimum of 10 people is required for group tours, and the tour leader and motorcoach driver receive complimentary admission. Adams Museum and Days of ’76 Museum both have motorcoach parking. Historic Adams House does not have on-site motorcoach parking, but nearby parking options are available. After experiencing one or more of the museums, visitors can head to Homestake Adams Research and Cultural Center to experience one of the nation’s largest collection of Black Hills archival items. The collection includes historic photographs, maps, legal correspondence and documents, and personal diaries and journals, among other materials. For more information, call 605-578-1714 or visit deadwoodhistory.com.